If you are interesting in being a part of this year’s event, there are several ways you can contribute to honoring our servicemen and women. 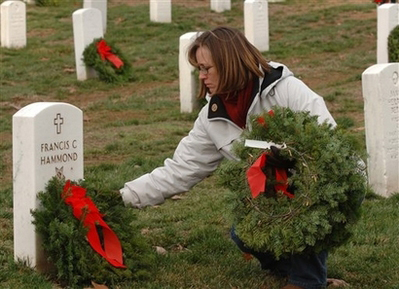 Monetary donations to purchase the wreaths and bows each year are essential to the continued success of the program. Assistance with donations of any amount is always greatly appreciated. We are also in need of items that help our volunteers complete our task at hand such as the following. If you can help with any of these items, please contact Todd McCorkle. We need help in spreading the word throughout the community. Any assistance the media can provide to help in this effort would be helpful.